Liverpool’s win over Wolverhampton Wanderers coupled with Manchester City’s defeat against Crystal Palace meant that Jurgen Klopp’s side extended their lead at the top of the table to four points ahead of Matchday 19 in the Premier League. The significance of that victory also meant that Liverpool have won 15 of their opening 18 games in the league. No team has failed to win the league after winning 15 of their first 18 matches. A win against Newcastle on Boxing Day (which seems like a formality at this point) will take Liverpool to 26 wins this calendar year – a new club record. 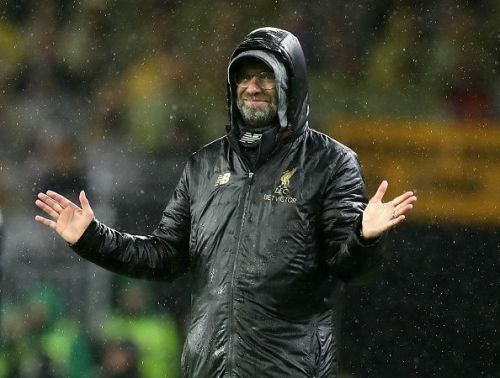 With the Reds showing no signs of complacency ahead of the busy festive schedule, talk of winning the Premier League seems a real possibility now. In fact, with Liverpool boasting the meanest defence in the league this season (only 7 goals conceded), fans are getting ahead of themselves that this Liverpool team could win the Premier League without losing a match this season. But like great teams of the past have found out, it is next to impossible to match Arsenal’s invincibles. Here are the teams that could potentially end Liverpool’s unbeaten run in the Premier League. This will be a real test for Liverpool after the Newcastle game. Although Arsenal last won at Anfield in the league during 2012, they have a new man at the helm now. 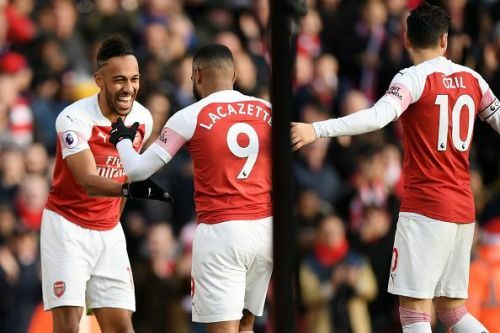 Unai Emery has galvanized Arsenal, and guided them to a 22-match unbeaten streak before losing to Southampton. Arsenal also have an in-form striker now, with Pierre-Emerick Aubameyang leading the scoring charts ahead of Mohamed Salah with 12 league goals. Liverpool are favourites to win this match, or at least avoid defeat, but like Crystal Palace showed with their win at Man City, we could be in for a surprise at Anfield this season.